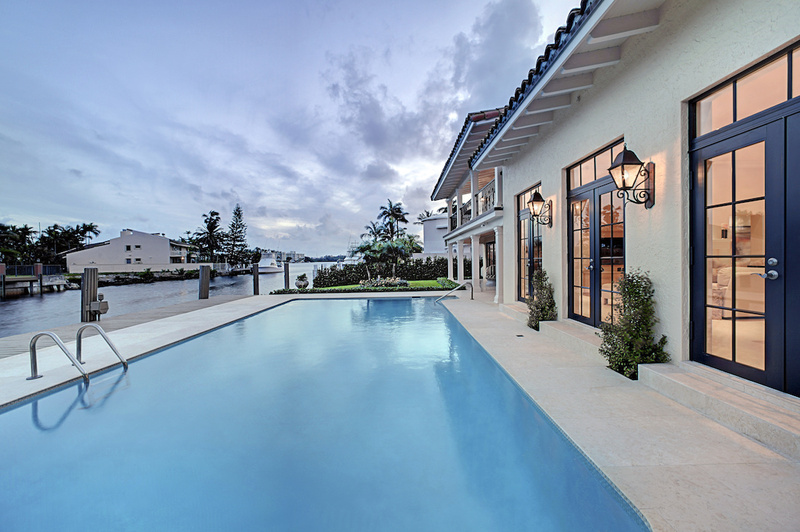 With a yearly average temp of 82 degrees in South Florida, pools have become a necessity. But with this necessity comes a need for pool renovations. But let’s be real, we just don’t have the time or even all the knowledge necessary to do these pool renovations ourselves. That’s where a renovation company comes in. Pool renovation companies in South Florida are abundant, so it is important to find the right one for you. People you can trust, that see your vision, and are reliable and affordable. Here’s what you need to do to find the best renovation company. You need to make sure that you know what you want- don’t just call a company and expect them to know what you want if you don’t. Figure out your price range, don’t overestimate. Really take into consideration what you are willing to spend, and what that money will get you. Plan out a timeline, you don’t want to hire a company to come out in December when you need your pool done by October. Sounds like it’s easier said than done, so here are 5 tips for finding the best pool renovations company! The internet has provided us with many great tools for finding great, reliable companies. One of those most pertinent and useful tools are reviews. Look for a company with A+ reviews with the Better Business Bureau or other credible resources such as Angie’s List. You can use reviews to find out what real people actually have to say about the service and employees of a company. When looking at company reviews, don’t just look at the average number of stars, actually go through and read what people are saying. You’ll find that even the best of companies will have some haters, as not every human can be pleased. However, take a good look at what these customers have said about specific people, about the timing, the cost, and the overall impression. If you find a company with almost all great reviews, that may be the pool renovations company that you are looking for. Some companies will have more specific types of renovations, as every company has a niche of their own. Some may be more focused on stone pools, tile pools, or waterfalls. Whatever it may be, just make sure that the company you are considering is going to provide you with the exact service and renovation that you need. The last thing you want to do is settle for something that you didn’t actually want. Many times, companies will post examples of their work on their website, which is extremely useful to prospective customers like yourself. While not every company is the same, there are certain credentials required in order for a pool renovations company to operate. You can find useful information on the company via the BBB regarding their credentials as a business. When you call for information and pricing from a company, most of the time they will provide you with the particular remodeler’s portfolio and works, as well as their specific credentials and licensing. This is important to make sure you are working with a professional who really knows what they are doing. While some expertise comes naturally, for the most part, you will find expertise comes with experience. If you are comparing a company with 5 years of experience versus a company with 15 years, more often than not the company with more experience will provide a better service. However, it goes a bit further than the life of the company. Make sure you are also looking into the experience of the owners or contractors. Many times, a newer company may have been recently started, but the owner has more than 20 or even 30 years of experience. That beats 15 years of experience with a 15-year company. The reason it is important to find the company with experience is that they will likely have dealt with more types of pool renovations, as well as run into more problems. Problems are inevitable with renovations, so finding a company that has seen them all will give you the most reliable and knowledgeable contractor. This is one of the biggest factors when it comes to pool renovations. You don’t want to drain your wallet just to fix up your pool, however, there is a fine line between cheap and affordable. When looking at pricing, make sure that the price reasonably matches the service and timeline. If a company is willing to give you everything that you want within one week, but another company is cheaper but will take longer and doesn’t have the specific expertise you are looking for, you won’t necessarily want to hire them. On the contrary, don’t go hiring the most expensive company if you don’t need anything particularly complicated done. If the cheaper company can efficiently, quickly, and reliably take care of all your wants and needs, they should be your choice. Find out what is going to fit your budget, while still providing you with what you are envisioning. This is your pool, make sure that you are getting exactly what you want because it’s a big deal. Now, What Do I Do with All This Information? I know that this is a lot to take in, and may be somewhat overwhelming. Just remember, this is your money spent, your property, and your pool. Take this information, and use it. Don’t be afraid to turn down a company after a consultation if you find that they aren’t going to provide you with what you want. Don’t stress about calling a company multiple times to ask deeper questions. If you are looking for pool renovations in South Florida, start your search here and get a quote today!